Helping the Jury Remember When. The human memory is a tricky thing. Some things are learned and recalled without even thinking about them. These are typically items that we come in contact with in a concrete and tangible way on a day-to-day basis. Other items of information are more difficult to commit to memory because they are abstract in nature. These bits of information are not as easy to visualize and draw connections to other bits of information that we are more familiar with in our day-to-day lives. I am currently reading a book titled “Moonwalking with Einstein” by Joshua Foer. It chronicles the author’s journey into the world of memory competition and how he developed an extraordinary world class memory through the use of various mnemonic devices. Humans it seems have a very developed spatial memory and if one can connect bits of information to a location in a highly unusually and memorable way the information is much more likely to be recalled and retrieved when needed later. 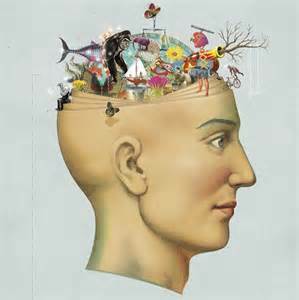 An individual takes a location that they are thoroughly familiar with in intimate detail and uses this as a “memory palace” where memories are created through vivid and unique descriptions and then imagined to be deposited at various location in the person’s memory palace. Such training of the mind through the use of Loci was typical and part of a man’s education. This technique of connecting memories to locations, was outlined centuries ago in the four volume treatise “Rhetorica ad Herennium” by Cicero. Today, such techniques are seldom referenced outside of the world of memory competition. Contestants in the memory competitions use literally scores of “memory palaces” to deposit their memories for easy retrieval. Each fact or bit of information to be remembered is imagined in elaborate and extravagant detail involving as many senses as possible as part of creating the memory. This imbeds the information deeply with in the mind. The more connections created to the information from various senses, the easier it is to retrieve and recall the information. So how can this help you in presenting your case to the jury? Well, you need to involve each juror’s mind in as many ways as possible through your presentation. Create vivid imagery with your words, exhibits and through your story telling. Analogies are a mnemonic device to help jurors create connections with items of information they already know and are familiar with through their everyday lives. The analogy not only illustrates your point, but acts as mnemonic device to help your jurors recall and make your arguments again in the jury room when it counts most. In addition to analogies, when you make a new point in your closing argument or opening statement, change your location even if it is subtle or minor. This taps into a juror’s spatial memory. Engage their sense of hearing in a memorable way by varying the tone and volume of your delivery as you move from topic to topic. I have even heard of attorneys referring to a deceased client by subtly indicating with their hands to the presence of their deceased client in a particular area of the courtroom and then carefully avoiding that spot as the case proceeds forward. The attorney in essence gestures to their client at a fixed location. In one instance I heard of this technique being so effective that opposing counsel subconsciously avoided the spot where the deceased client was referred to through gesture. And don’t forget the senses of touch and smell in describing an accident scene: the jagged and rough edge of a piece of metal, the abrasive surface of the pavement, the bloody surface of a wound, the smell of burnt rubber, the sweet order of antifreeze and the pungent order of gasoline. If you involve as many senses of the jurors as possible when making your presentation of evidence and argument, you will increase the chance of those arguments being repeated in the jury room and helping the jury remember when you said it in the courtroom.